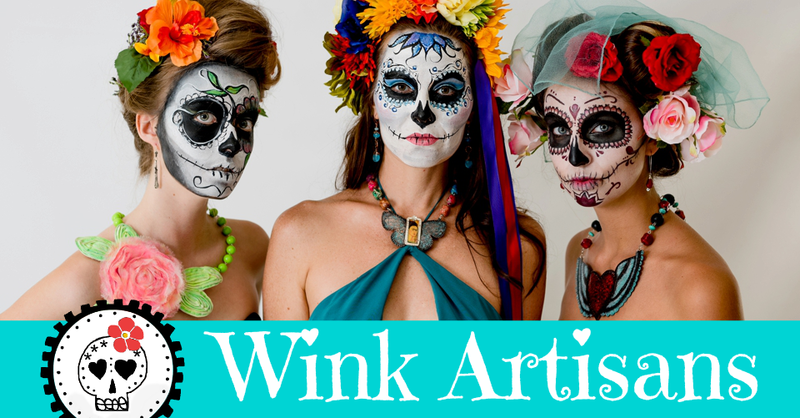 Dia de los Muertos is one of my favorite holidays. I love the explosion of color, textures, the crafts, the rich cooking aromas, the face-paintings, the altars... Oh, there is so much. Most importantly, it's a time to remember and pray for our dearly departed, to celebrate them as they return to our world, to cherish those moments lived with them, and to honor their legacy. 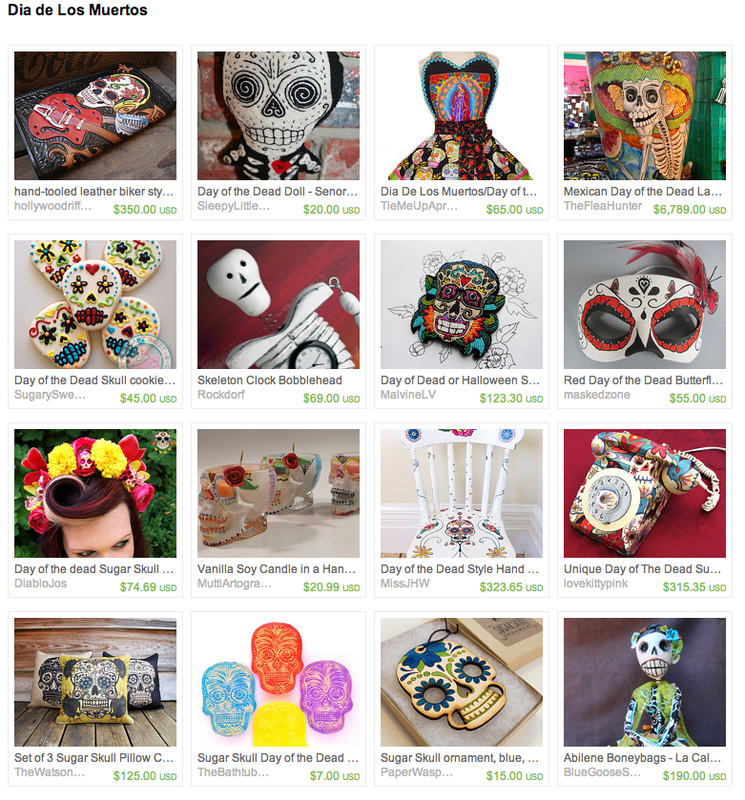 As the celebration approaches, enjoy this Dia de Los Muertos Etsy Treasury ... a nd it any of you has $350 floating around, please get me that awesome wallet. I'm just saying, LOL!